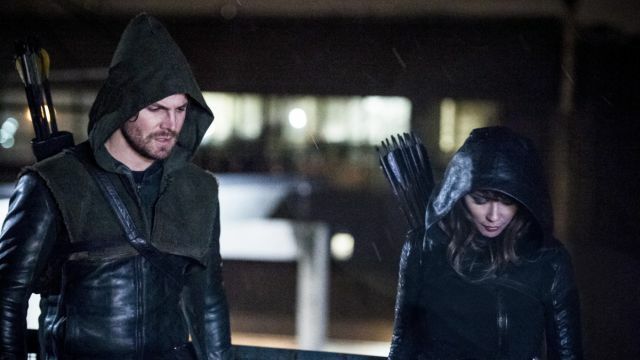 Arrow -- "Bratva" -- Image AR512b_0251b.jpg -- Pictured (L-R): Stephen Amell as Oliver Queen/The Green Arrow and Lexa Doig as Talia Al-Ghul-- Photo: Cate Cameron/The CW -- ÃÂ© 2017 The CW Network, LLC. All Rights Reserved. 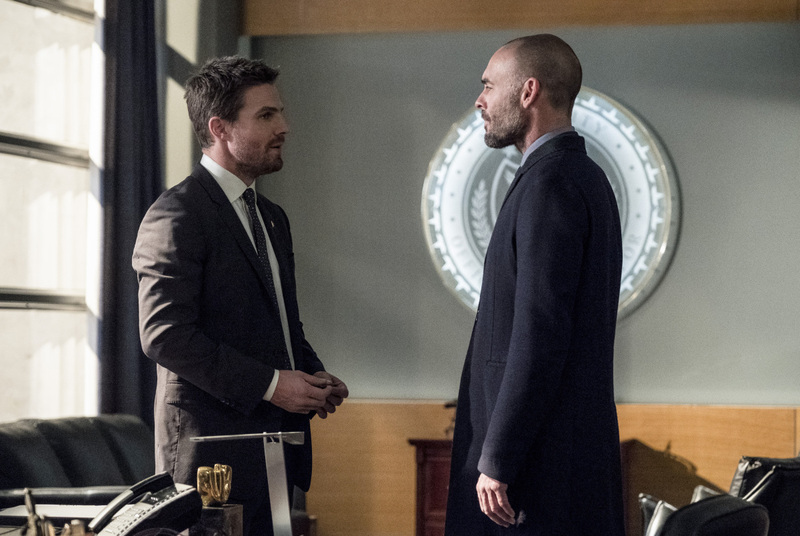 The CW has released the clip from tonight’s episode Arrow, featuring Oliver and his team as they arrive in his old stomping ground. Check out the Bratva clip in the player below, along with an inside look at the episode.